Can Dogs Eat Carrots: Raw or Cooked? Are Carrots Good for Dogs? Today’s question: can dogs eat carrots? Are carrots good or bad for dogs? Scroll down for detailed answers. Dogs will eat most anything, whether edible or not, tasteful or not, nutritious or not, dogs will eat it. It often seems like dogs will eat pretty much anything. You name it, they will eat it, from bones to chocolate and plastic toys. Maybe even shoes, wood, fences, rodents, and trash from the diaper bin. Obviously, not everything dogs are willing to eat is actually good for them. Just as we humans need to eat food that is nutritious and healthy, so do dogs. Better yet, dogs need to eat food that will not cause serious health issues, intestinal problems and death. On the quest to enhance the food choices of your dog, you as the owner may want to incorporate the healthy food humans eat, into the healthy food your dog eats. 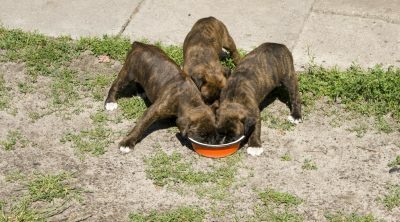 In fact, there are entire food groups that are not typical for dogs and are not bad for them. Dogs are just as able to enjoy fruits and vegetables among other food choices offered to them. So what kind of food can your pet indulge in? What foods are tasteful, nutritious, and mineral dense without causing tummy upset? Can dogs eat carrots? If you wonder about this question then we surely have answers for it. Can Dogs Eat Dehydrated Carrots? How Many Carrots Can Dogs Eat? Dogs are considered to be omnivores, but may be perceived as strictly carnivores do to their reputation as deriving from wolves, as well as their teeth size and shape. Generally speaking, dogs stick to eating meat and chewing on bones. Meat provides dogs the vitamins and nutrients needed from protein, as well as the taste dogs have evolved to enjoy. Bones are wonderful not only for the benefit of nutrients and entertainment, but also for cleaning and smoothing teeth. 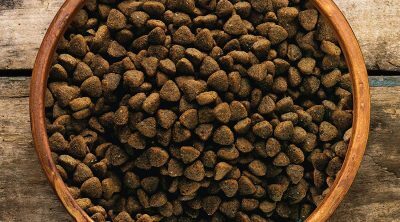 Of course, there’s also the everyday kibble and wet food, as well as the occasional doggy treat we offer our pups in conjunction with meat based kibble. However, that’s pretty much the only standard, as far as canine food goes. 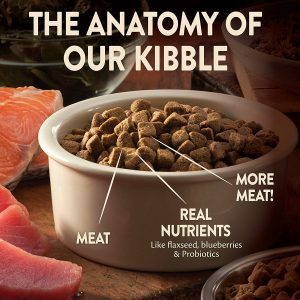 Just because dogs are known to eat meat and kibble does not mean their palate does not need to be expanded. Being a dog does not mean that their preferences does not exceed what we are willing to feed them. Did you know that dogs can also eat grain, fruits and vegetables? It’s true, dogs are not only okay with eating them, they actually enjoy them! When offered new foods that differ from the usual, dogs respond just as humans-with interest and thanks for the change of taste. 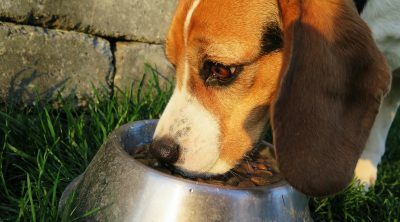 Dogs will not only respond to the new food, but generally consume without much hesitation. Dogs especially love the fruit, veggies and whole grains when you take into account the fact that these foods can be beneficial for them. A dog may not request the nutritional information of the food you are feeding him/her, but doggy intuition should alert the dog to the healthy benefits of the healthy human food. 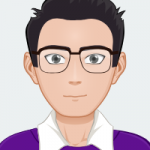 While changing a dog’s diet to a healthier alternative, as a pet owner you do not want to move your dog to a diet that consists only of human food and homeopathic remedies. 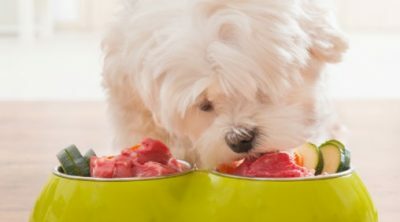 Altering diet to include nutrition is a great option, but you have to keep in mind that a dog cannot sustain itself just on “alternative” food products. Dogs existed for generations before humans domesticated them as house pets. In the wild, dogs did not have access to a paleo diet, or other alternatives to kibble that an owner may consider. 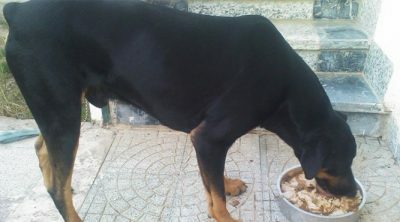 Dogs needed hearty foods such as meat to sustain themselves and their species. This need continues even though healthy options should be blended in on a regular basis. While a vegetable treat is fine every now and then, your pet will still need a healthy, considerable source of meat protein. Protein is the food that helps him/her survive and thrive. A healthy dog is a happy dog, so make sure to cover his/her nutritional needs when selecting food. The entire diet of the dog needs to be considered for the incorporation of vegetables to occur. The short answer is yes. Your pooch can definitely enjoy some carrot treats. 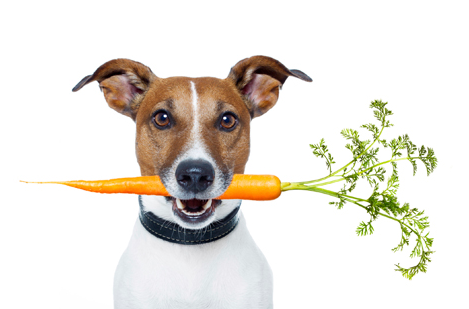 Cooked carrots are easier for your dog to digest than raw carrots. However, make sure to offer new foods to your pet gradually and in small quantities. Observe your pet afterwards for any adverse reaction. If your pet doesn’t show any unusual behavior, such as loose stool or digestive discomfort, you can continue giving him this food. Additionally, carrots should be offered in moderation only. Large quantities may upset your dog’s stomach. Just as tastes for food vary among humans, tastes and texture preference of food varies among dogs. The answer to whether dogs like vegetables is not universal, as it depends on the dog breed, temperament, previous diet, medical issues, and region of the world. Sure, most dogs will eat vegetables, but there is always the risk of your particular pet to not enjoy vegetables in general or just a certain type. Of course, before giving him anything new, you should always check first and do your proper research to see if it’s non-toxic for dogs. You can figure out if your dog likes something or not by feeding him a small piece and waiting to see a reaction. You will figure out whether your dog enjoys vegetables by whether your dog swallows the vegetable and looks for more. When a dog does not like a vegetable, the veggie will remain on the floor or in the bowl-untouched. Another aspect of whether a dog will like vegetables or not is intestinal tolerance. Dogs do not like tummy upset just as we humans do not. If a particular veggie (cauliflower, broccoli, beans) is eaten and enjoyed by the dog at first, check for tummy upset later on. In the event your dog has an intestinal intolerance, you will know to feed this veggie only on occasion. Once you’ve confirmed that your pet can indeed safely consume the chosen vegetables, you can go ahead and continue to give him small amounts from time to time. You have to remember always to chop everything into small pieces, otherwise it may become a choking hazard. Equally important, it’s best to peel any vegetables or fruit before serving it to your pooch. As little children, our mothers would always advise us to eat our carrots for a good reason. Did you know that carrots can help improve and maintain the health of your vision? The benefits are actually the same for animals, including dogs. While they won’t help a dog who is visually impaired, they will contribute to the health of a canine pet’s vision. There are no indicators that dogs should not be allowed to eat carrots. In fact, the only reason your dog wouldn’t is that he is picky about food or simply doesn’t want to. You don’t have to fear that carrots may be toxic or have any risks attached to them. An exception is a dog who is suffering from diabetes. In this case, you’re going to want to carefully monitor his sugar intake. 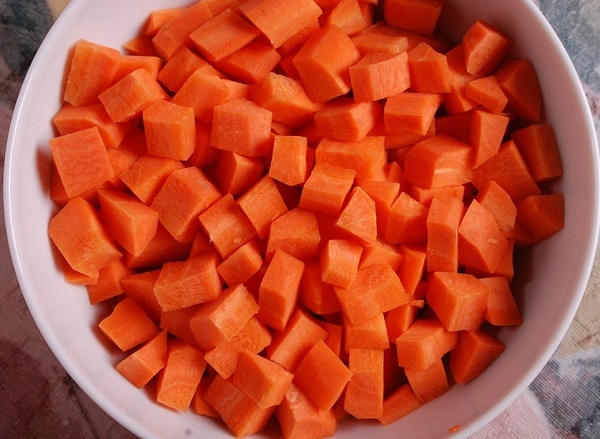 Most dogs would adore carrots and the crunchy texture is great for cleaning their teeth as well. Raw carrots are like a natural toothbrush for dogs that clean the buildup and plaque from the teeth. Raw carrots can be offered to dogs in lieu of bones as the treat has a similar texture and feel, but is all natural and more nutritious than most bones. You can also freeze these vegetables and give them to puppies that are teething. This would alleviate their sore gums. Put a batch of chopped carrots in an airtight bag or container and give them to your pups as treats throughout the day. Frozen carrots are also good options to offer as a summer treat! Carrot popsicles will cool down any dog in the sun! Gnawing and chewing also prevents your pet’s boredom, reduces overall stress level and provides him a great outlet for his natural need to chew. 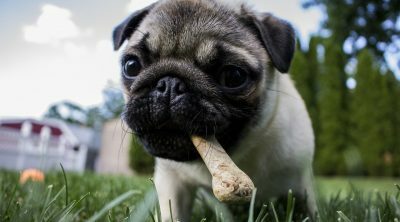 Chew toys or chew food can keep your dog’s mouth healthy? Many dogs show signs of gum disease by the time they’re 4 years old because of the lack of mouth care provided. Raw carrots are harder to be fully broken down in your dog’s digestive system due to insufficient enzymes. It means that your pet may not absorb all of the nutrients present in carrots. This doesn’t mean that carrots are harmful for your dog. However, you may occasionally want to cook them for your pooch. You don’t have to do anything special, except remove the carrot tops, peel them, and chop them up. Dogs are able to eat raw carrots. However, the nutrients in the carrots will be more easily accessible to your pet if you take the time to cook the carrots. You can boil them, mash them or even make a puree out of them, your dog will love them just as much. Cooked carrots will be easier to be consumed by dogs, especially little puppies. It may be a good idea to start out by feeding your dog a carrot puree to see if he likes the taste of it and only then “graduate” to raw carrots. Don’t give your dog the whole carrot stick which may lead to chocking. You can even give a little bit of homemade carrot juice to your dog. Just put the carrot sin a juicer and don’t add any sugar. Carrots are already sweet. You may want to stay away from store bought carrot juice. Commercially made carrot juice has preservatives and contain more sugar. You can also make mashed carrots for pups that have sensitive gums or problems with chewing. Always start out gradually with small quantities and then monitor your dog. If you don’t see any unusual symptoms or behavior, you can continue feeding carrots to your pooch. If you want a ready made dog food that includes carrots, check out this [easyazon_link identifier=”B001BKL93U” locale=”US” tag=”frtp-20″]organic turkey, sweet potato, and carrot food for canines[/easyazon_link]. Yes, you can feed your dog dehydrated carrots. These are great for mixing in with other foods to use as a daily supplement. Dehydrated carrots still have all of the nutrients and they don’t spoil and don’t require refrigeration. However, since dehydrated carrots have less water, they may be harder to digest. Don’t give too many of these to your pooch. Depends on the dog, it’s size, and digestive capacities. Every dog is different. However, as a general rule, don’t give your dog more than 2-3 baby carrots per day. If your dog happens to love carrots, you can safely give a small amount of carrots to him daily. However, if your dog gets diarrhea from eating carrots, he might be too sensitive to this vegetable and you should stop giving him carrots altogether. Yes, you can give carrots to puppies. Just make sure that your pup is old enough to eat solids. You can steam, boil, cook or give raw carrots to your pup. If you cook the carrots, you can mash them and mix them with the puppy food. Or you can just cut the cooked carrots and offer them to your pup as treats. Puppies can also eat raw carrots. They would love to gnaw on them. 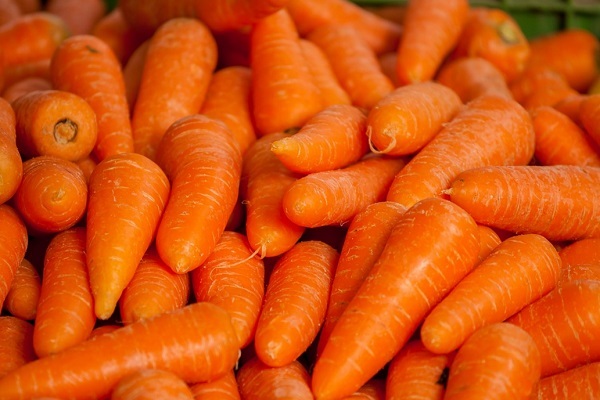 A small baby raw carrot would be a great treat for your young pooch. However, remember to monitor your dog after feeding him carrots. Puppies have more delicate digestive systems. Start out gradually with a few pieces first. Watch your pup closely. If you don’t see any unusual behavior or symptoms, you can continue feeding him carrots. If your dog has accidentally eaten too many carrots, monitor your dog for the next 24 hours. Dogs can’t really force themselves to stop eating and if your dog has finished a big batch of carrots, don’t panic. Your pooch may most likely experience some diarrhea and stomach discomfort but the symptoms should go away in a day. However, if your pet’s symptoms have not improved after 24 hours, you should probably consult with your local vet. Also, if your dog is diabetic and has eaten too many carrots, you may want to call your vet for proper care and advice. Since carrots are natural, they aren’t that dangerous even when eaten too many (unless your dog is diabetic). Remember to make sure your dog has drinking water available at all times. Diarrhea can cause dehydration. Other than that, you have to wait when carrots have passed through your dog and the stool returns to normal. In conclusion, dogs can safely eat carrots. As long as they like them and are willing to eat them, nothing stands in their way. Of course, you always have to make sure that carrots are peeled and chopped up or even better when they are cooked in order to make it easier for your dog to eat them. In addition to being delicious, carrots also provide much-needed nutrients and contribute to the health of your canine friend’s vision. You can feed a little bit of carrots to your dogs every day.